Like others, I am horrified and deeply saddened by yesterday's Associated Press story, "Accused Mom Struggled to Help Autistic Son," by Verena Dobnik. Gigi Jordan is accused of killing her 8-year-old son, Jude Michael Mirra, who had autism. 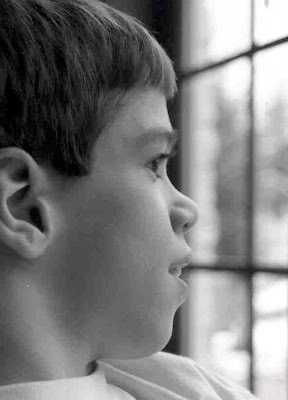 This tragic story is also a reminder to all of us of the severity of the challenges and stresses that often face many families of children with autism and other special needs. Rather than judge this mother, perhaps we should use this harsh reality to advocate for the provision of greater resources and services, financial and emotional support, awareness of family struggles, research for cures, and respite for these families. This child's death, and others like his, should not be in vain. If this story of man's best friend doesn't touch your heart, I don't know what will. Watch the video From Service Dog to SURFice Dog here. Coming to summer gardens everywhere, soon. Here are just a few of the rapidly approaching, newsworthy events involving special needs. Registration opens up to all individuals interested in attending the 8th Annual Eric 'RicStar' Winter Music Therapy Camp, offered through Michigan State University's Community Music School (MSU/CMS). RicStar's Camp is open to individuals of all ages with a wide range of special needs, and their siblings. Scholarships are available. Camp fills up quickly! For more info and to download a registration form, Click here. March 1st thru March 21st: Down Syndrome Association of Los Angeles (DSALA) national awareness effort: 221 Days, 21 Quotes from 21 People with Trisomy 21 for World Down Syndrome Day. To submit a quote for consideration, click here. The person submitting the quote must have Down syndrome. Holly Robinson Peete co-stars in the new season of The Celebrity Apprentice to help raise awareness/money for autism through her foundation the HollyRod Foundation. You go, girl! World Down Syndrome Day. Click here. Abilities Expo Los Angeles Convention Center. Click here. PBS program 'Through a Dog's Eyes,' which chronicles the journey of individuals with special needs as they prepare for becoming recipients of assistance dogs. 8-9 p.m. ET. Check local listings to confirm. Find out more here. VSA arts offers several contests/programs for creative souls with special needs. I love this organization, an affiliate of the John F. Kennedy Center for the Performing Arts. For more, click here. Check back to this post for additional updates. REMINDER: This is the final week for RETURNING campers to register for RicStar's Camp before camp opens up to new campers beginning March 1st. The 8th ANNUAL ERIC 'RICSTAR' WINTER MUSIC THERAPY CAMP, a music therapy camp for individuals of all ages/disabilities and their siblings, will be held on Thursday, Friday and Saturday, June 17-19, 2010 at MSU's Community Music School, located at 841 Timberlane in East Lansing, Michigan. One registration form must be completed for each camper. Camp fees are $185 for one camper, $350 for two campers same family, and $510 for three campers from the same family. Scholarships are available. You must send in registration form and a payment in order to be placed on the enrollment list. Warning- camp filled up in MARCH last year, so act quickly to ensure a place at this popular camp! For more info and registration form, click here. On the seventh anniversary of this mom's tremendous loss, I am remembering with all my heart. Your music lives on in so many beautiful ways, RicStar! I've already stated my support of and reasons for not using the R word in casual conversation, a subject that has garnered lots of attention and commentary in the media. Here are two more recent takes on this on-going controversy, one for and one against. Read Christopher Fairman's argument: The Case Against Banning the Word 'Retard, here. Tim Shriver's response: The Bigotry Behind the Word Retard, can be found, here. I'm Team Shriver, and pro dignity for millions of people with intellectual and other disabilities worldwide. I also continue my support of refraining from using outdated, hurtful language that reinforces painful stereotypes for other minorities and women as well. The fact this issue is being discussed in 2010 says how far the special needs movement has come. Still, we've got miles to go before many people truly understand and appreciate why we should care about this population's on-going human-rights struggles, and how the use of one powerful, six-letter word can have such negative impact on their lives. As a devoted mom who parented a child with a disability for nearly thirteen years, it's a painful reality I understand all too well. Olympic Torch Bearer Rick Hansen Rocks! There are some moments in the world of special needs advocacy that require few words, although the word 'powerful' quickly comes to mind. Seeing wheelchair athlete and spinal-cord-injury activist extraodinaire, Rick Hansen, as a torch bearer for the Olympics Opening Ceremony was one of those moments. Canada's 'Man in Motion' is paralyzed from the waist down, the result of a car crash at age 15. What Hansen has done since, including winning 19 wheelchair marathons, six medals in the Paralympics, and raising 26 million dollars for spinal cord research, is nothing short of remarkable. He is an inspiration and a great example for us all. "When we remove barriers, anything is possible," Hansen states. Find out more about the man and his mission and see videos of his 2010 Olympic appearance at the Rick Hansen Foundation. Good piece in The New York Times Magazine yesterday entitled 'The Subject of the Sibling,' by Susan Senator, mother of an autistic son. Read it here. It's always good when the special needs sibling's voice is heard. Not always easy to hear their uncensored words, but important that we do so. Don't miss Claire Danes as Temple Grandin in the story of the challenging life of the fascinating bestselling author and advocate for humane livestock facilities. Temple is autistic. The program airs on Saturday, February 6th at 8 p.m. E.T. on HBO. According to ABC News and Special Olympics, Rahm Emanuel signed the pledge to end use of the R-Word at around 7:30 p.m. last night. White House Chief of Staff, Rahm Emanuel, opened his mouth in a meeting last August and created a firestorm of controversy over use of the word 'retarded,' language use that has rightly infuriated many in the disability rights community, and created a media buzz that I'm quite sure Rahm wishes would disappear. His insensitive word choice came not that long after President Obama's own joke on late night television at the expense of Special Olympic athletes. Both men have since apologized for their verbal "transgressions." Of course, there has been no shortage of loud naysayers quick to attack this challenge to free speech as liberal political correctness run amuk. "It's just a word," many proclaim, often behind the safety of anonymous screen names. But retard is much more than just a word. Use of this kind of language helps fuel outdated and limiting perceptions that get in the way of life opportunities for millions of people with a wide range of disability, and their families. I know that pain firsthand. 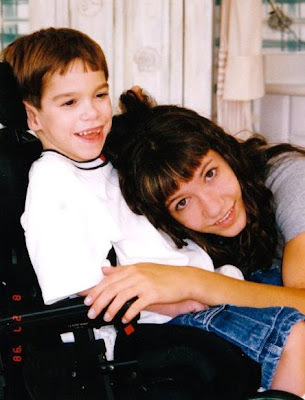 Although my son was bright and talented, his physical challenges and wheelchair use led far too many people, including educators, to predetermine his value and potential because they wrongly believed Eric was also mentally challenged. As a result, they expected even less from him. I've spent my life trying to right this wrong. The R-word hurts in ways too many fail to understand. The fact that it is so casually used today by many, including by the most educated, those in power and on reality television, shows just how far we have to go in creating greater understanding of the value and contributions of this population and the on-going human rights struggle they continue to face in 2010. As in the case of Emanuel's vent, the R-word is meant to be a put down, and each time it is used, painful stereotypes are kept alive and reinforced, making it even more difficult for those with special needs to pursue life independence and take their rightful places in society. It's past time we recognized the need for important change in language use and life opportunities for this population, just as we have in the past for other minorities and women. It's time we told their impressive accomplishments in our classrooms and history books. On the bright side of all this, the President's joke and Emanuel's angry slip of the tongue, have helped place valuable increased attention, spirited discussion, and priceless media awareness on the challenges facing millions of people too often ignored and undervalued in our society. The struggles of those with intellectual disabilities often mirror those diagnosed with a wide range of other special needs, making this a critical moment for many. When it comes to greater awareness of those with disabilities, what impacts one, really does impact all. Emanuel's mistake resulted in a meeting with Tim Shriver and other special needs activists (read their statement here), an apology, and voiced support for a growing movement to end use of this outdated, painful and limiting word for millions, an effort being led by Special Olympics (highlighting it's Spread the Word to End the Word Campaign Day March 3rd) along with a national movement to legally replace the outdated terminology 'mental retardation' with the term 'intellectual disability,' a change already adopted by Special Olympics and its talented athletes. Whether the Chief of Staff really gets the magnitude of what he's been called out on is unclear. But the White House controversy has helped highlight the concerns and voices of those with special needs at the highest level of government. That's a good thing, and long overdue. Now, let's see what is done with the valuable lessons. Special Note: Today's Washington Post article by Michael Alison Chandler entitled Mentally Disabled People Campaigning on their Own Behalf explains the proposed language change from mental retardation to intellectual disability well. Click here to read the piece. Logo courtesy of Special Olympics. According to Autism Speaks, one of the premier resources for information on autism spectrum disorders (ASD), 1 in 110 children is now diagnosed with autism. For boys, that number is 1 in 70, alarming statistics creating concern for many families. The good news is that as the number of these cases continues to rise, so does the commitment to providing resources and research to discover a cause and potential cures. Finally, here's an interesting read from Michigan State University about the need for people to work together more effectively in their autism studies/treatments. 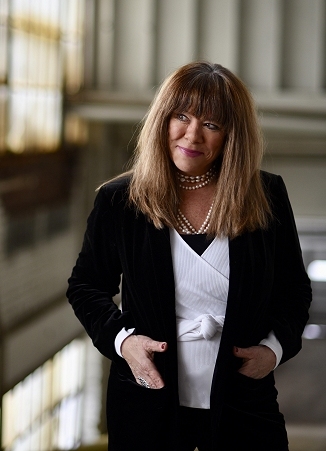 To read MSU Researcher Advocates New Way to Treat Autism click here. Shelter Dogs Rule! -Happy Birthday, Jack! Can't believe It's been one year since I first opened my home, and my heart, to a scruffy, scared, sweet, and ultimately awesome Aussie Shepherd shelter dog. Adopting Jack has been one of the best decisions of my life, and helped us both heal.